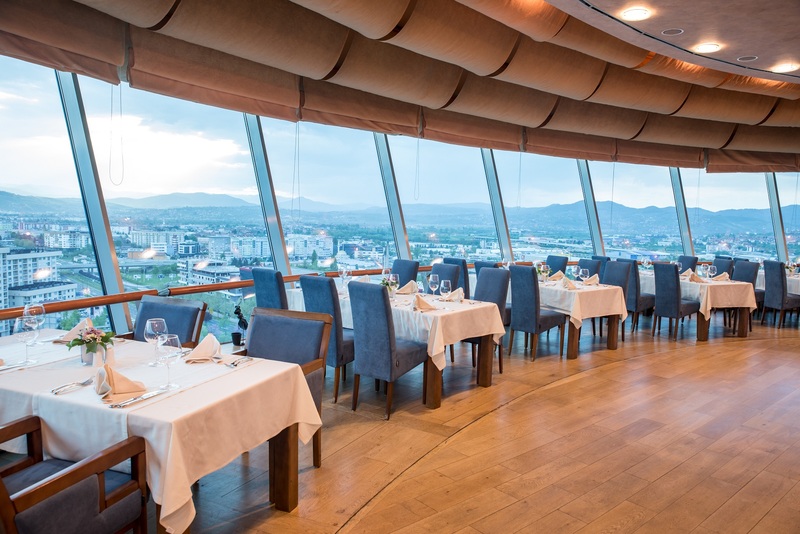 Revolving restaurant „Plava Prizma„ the first of its kind in this part of Southeast Europe, offers unique space for breakfast and a variety of top-quality cuisine. 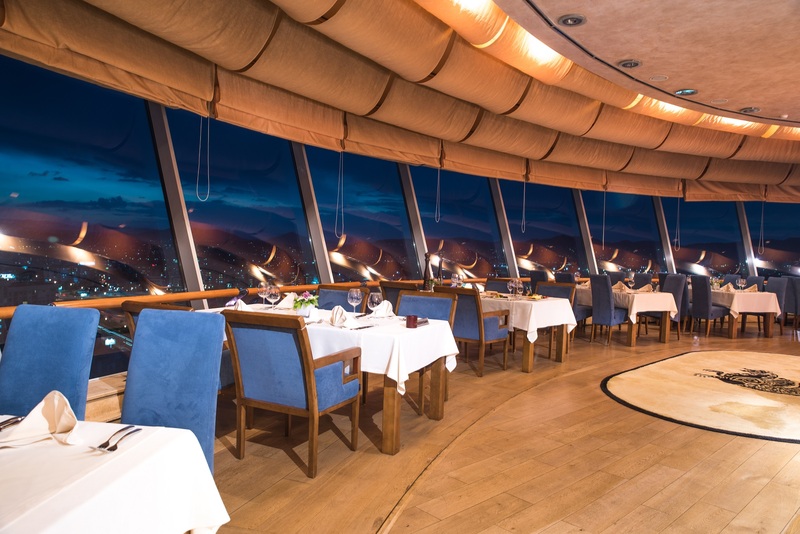 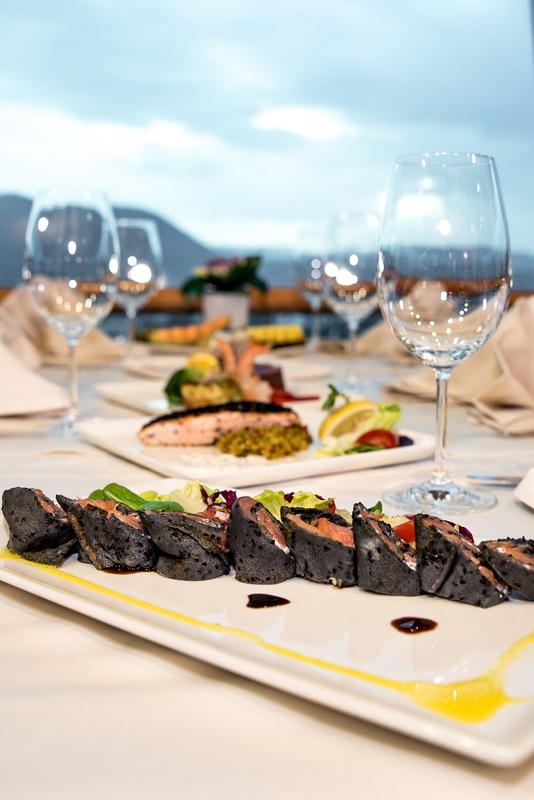 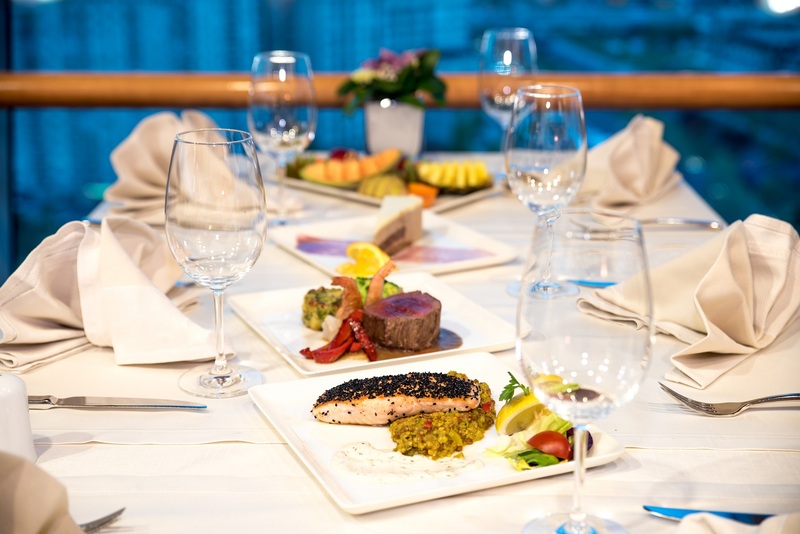 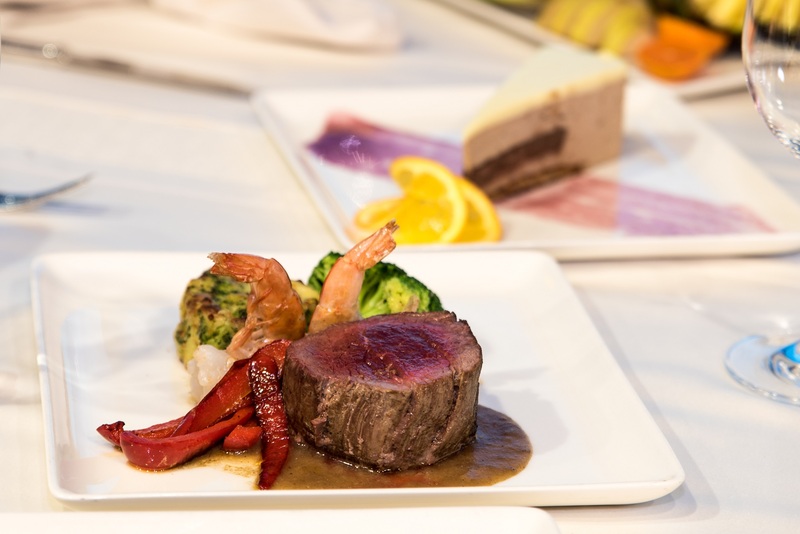 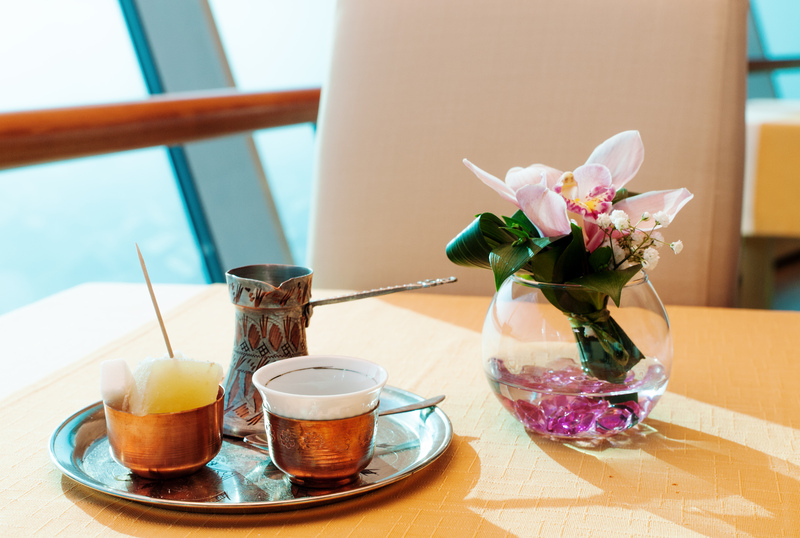 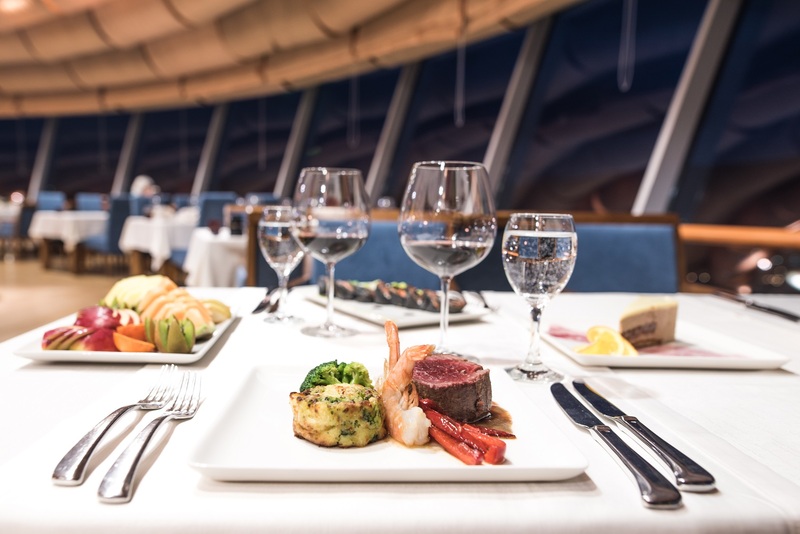 At the height of 70 meters the restaurant seats up to 120 people at any time, and our special menus will satisfy all gourmets. 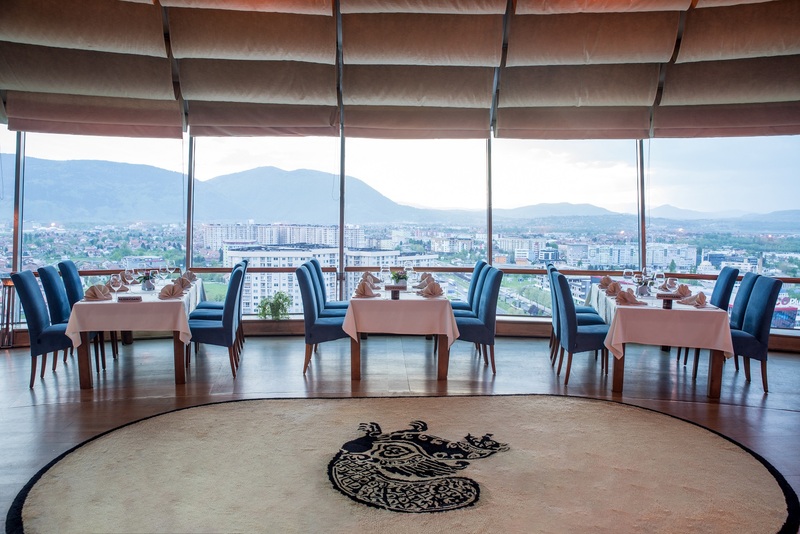 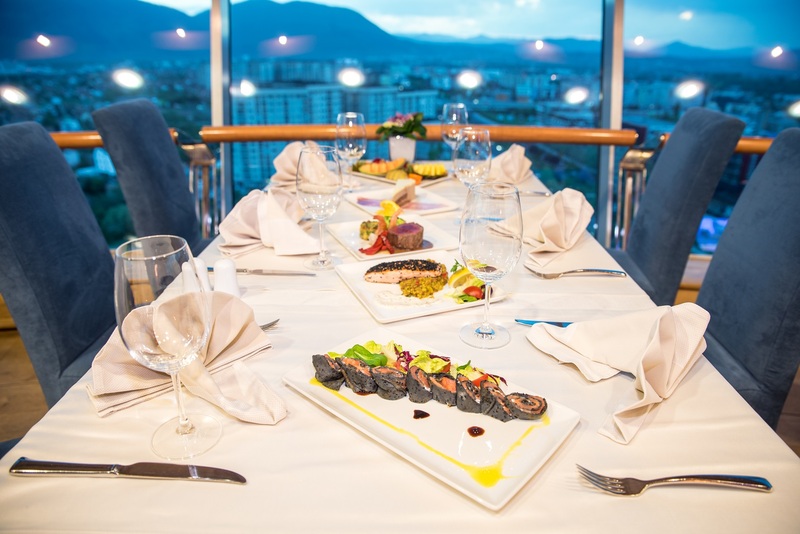 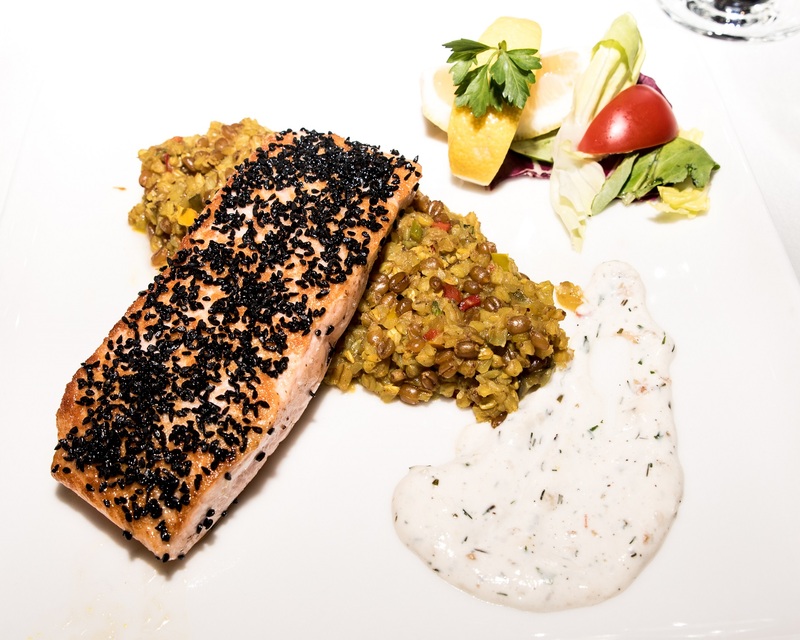 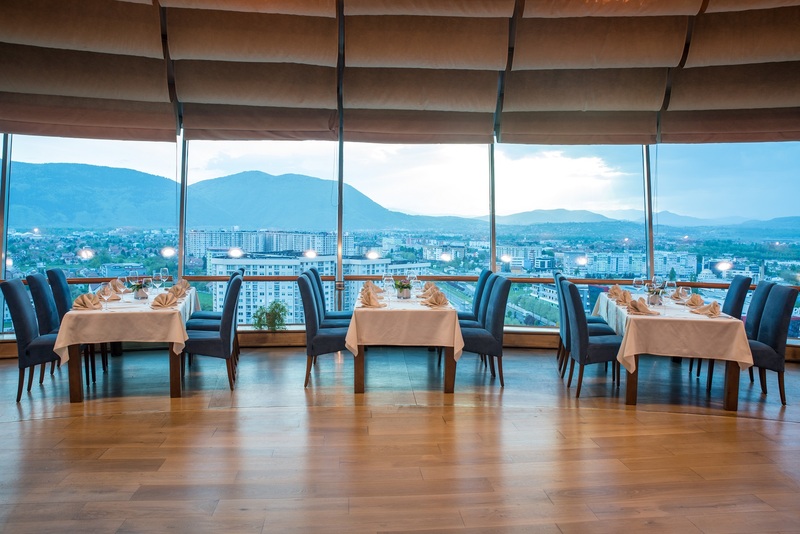 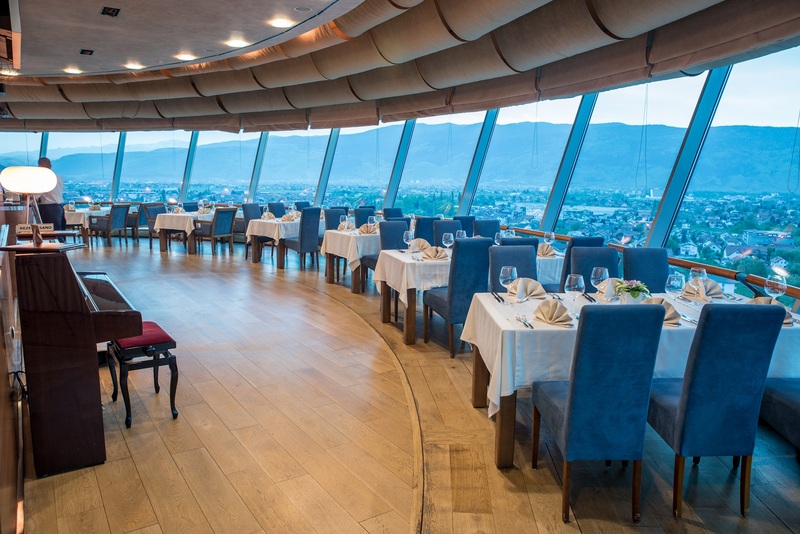 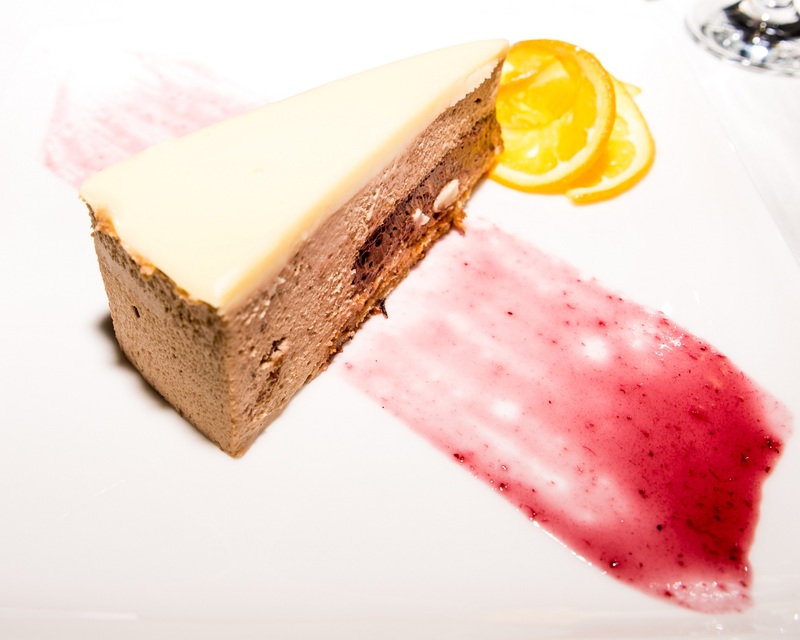 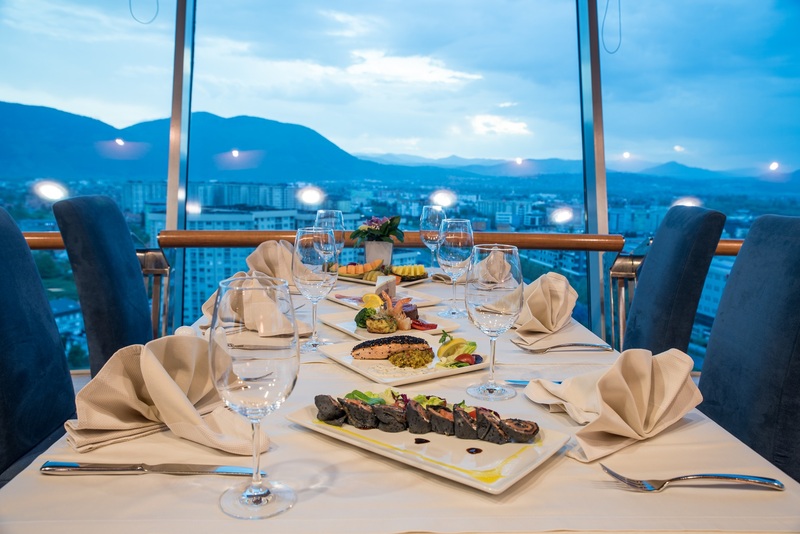 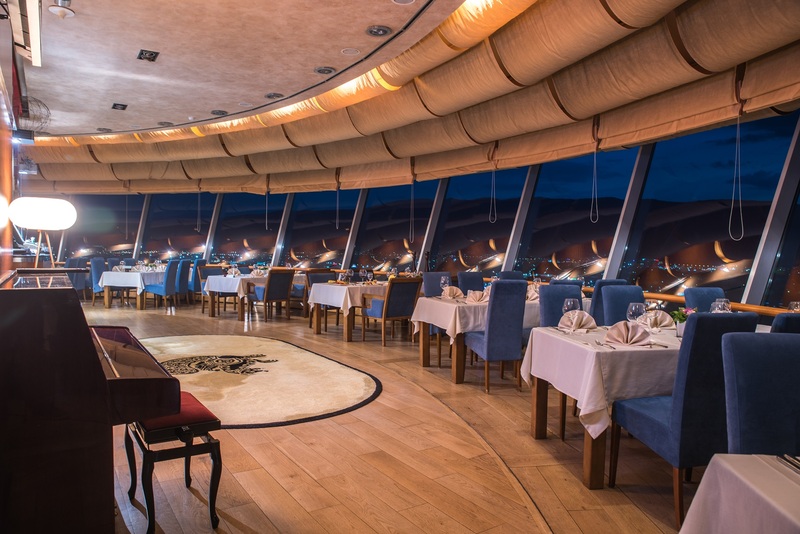 The restaurant offers a 360-degree panoramic view of the city of Sarajevo thus making the atmosphere in the restaurant even more enjoyable.The restaurant offers international specialties as well as delicious traditional Bosnian and Herzegovinian cuisine. 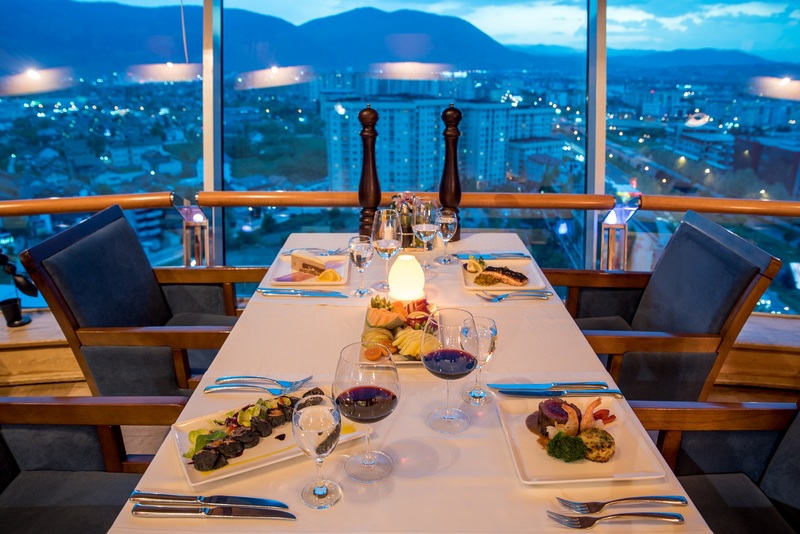 This is a perfect model to enjoy in a view of a beautiful city, with window seat where the shifting view complement quality cuisine.